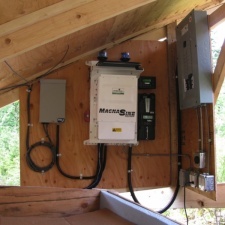 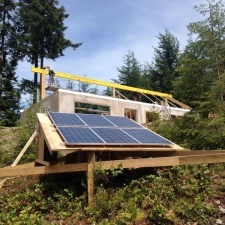 We met the owners at the Salt Spring Island Eco Home tour, which we were a part of, showcasing the temporary solar PV system at Seven Ravens Farm. 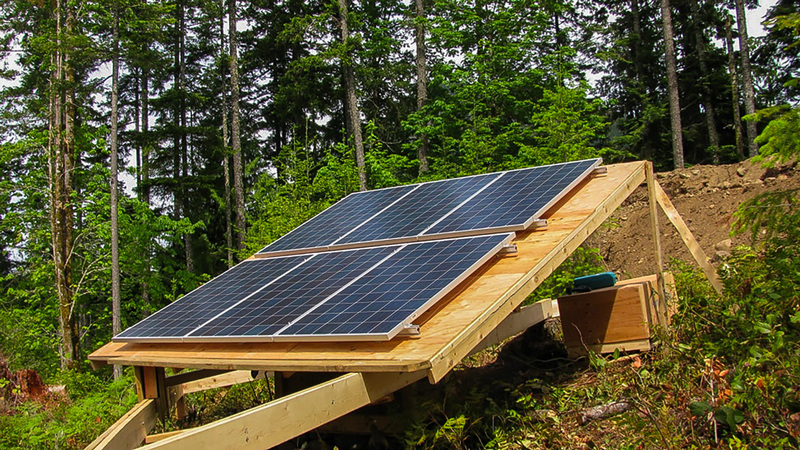 The owners, who also own and operate Vancouver Island Paragliding, were very excited about the possibility of doing the same thing at their newly acquired large acreage near by. 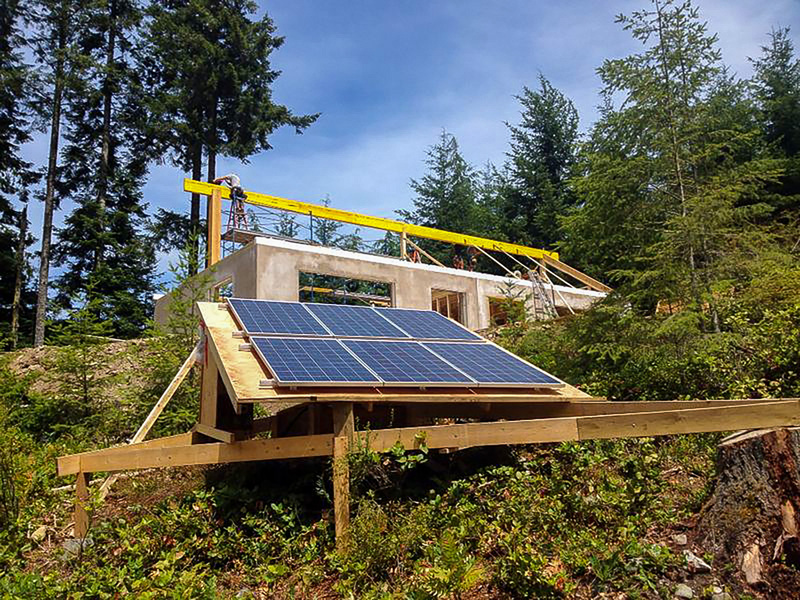 Sure enough, the following year after seeing the end result at Seven Ravens Farm, we were contacted to help with the building of an ultra-efficient off-grid home. 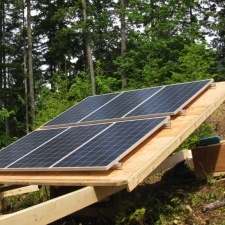 As before, we built a temporary solar installation that allows for the building of the home with minimal to no generator use. 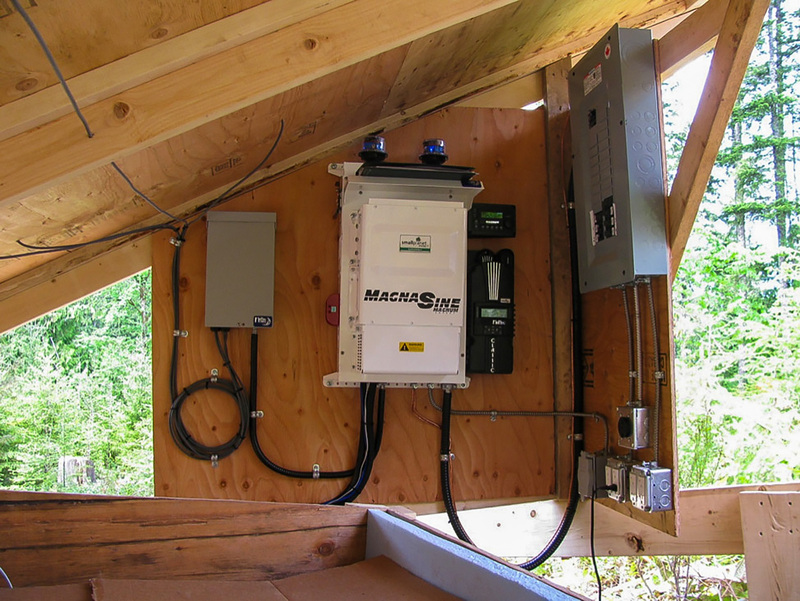 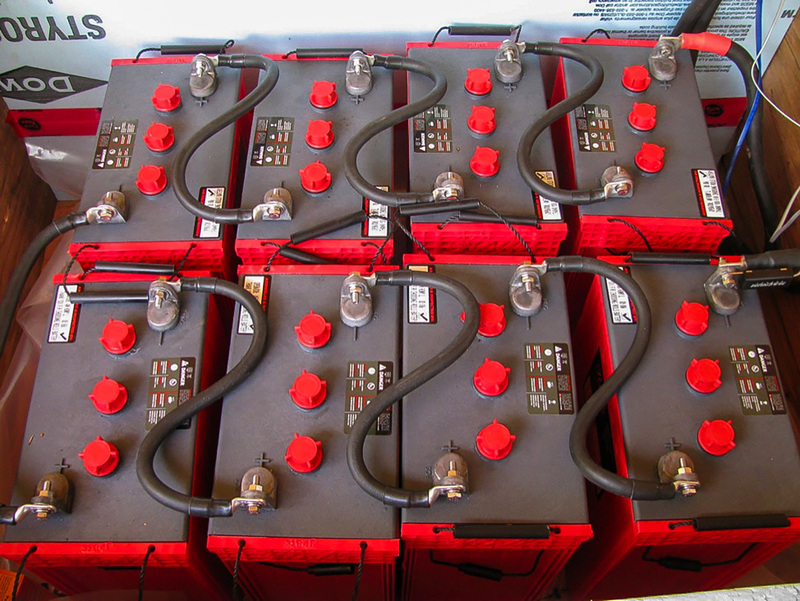 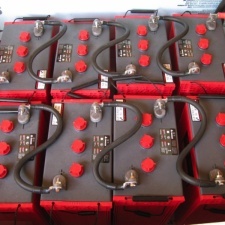 This system is currently powering the entire construction site and will soon be transferred to the home.